These tabs are in no way official, and they are purely my representation of the songs. I make no claims that these tabs are correct - please send any suggestions you may have. Webmasters: I don't mind the guitar tabs being linked from your site, but please don't put them on your site- it means that when (not if!) I spot mistakes, the versions on your site aren't incorrect. If you're particularly interested, I can give statistics of traffic coming from your site. Best viewed in a monospaced font (such as this one) e.g. Courier New. For more information about these songs, please see the Discography section. 'Mo Rice-Oxley' has done an amazing job at notating sheet music for some of the Hopes and Fears b-sides. Inside the ZIP files are JPGs, and MIDI files. Philip from Germany has also sent in some fantastic notated sheet music, for some of Keane's rare tracks. I haven't checked them, but you won't go far wrong. Inside the ZIP files are GIFs or JPGs. Thanks to Alexander "GaT" for this piano music! Inside the ZIP files are TIFF files. Kieran has also tabbed some album tracks for drums. I haven't managed to check them all, but they look pretty good - thanks Kieran! Derek has tabbed Nothing In My Way - thanks! 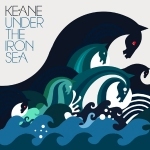 There's also a few PDF scores on http://www.drumscore.com/scores/keane. "Hopes and Fears" tab book with piano arrangements, guitar chords and vocal lines. It's a very accurate representation of certain parts. The left hand mirrors the bass guitar part exactly, which is very good for those wanting to know Tim's excellent bass playing, but playing a guitar part with your left hand can be quite tricky! The definitive book. Amazon.co.uk, or Amazon.com. 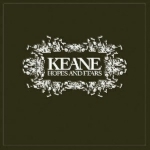 "It's Easy To Play: Keane - Hopes and Fears" tab book with basic piano arrangements. Although aimed at grade 1 and 2 piano players, I personally think it's a very good book if you just want the arrangements to be stripped down from the official book, which can be a bit 'busy'. Amazon.co.uk. "Play Piano With Keane: Hopes and Fears" tab book. I've not seen this myself, but it features Snowed Under, Fly To Me and Walnut Tree as well as 2 CDs - one featuring a soundalike CD, the other backing tracks. Amazon.co.uk. 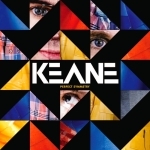 Somewhere Only We Know also features in the "Play Piano With Keane Coldplay Muse" book, which as well as featuring other artists, also comes with a backing CD so you can play along!